During my sophomore year in college, my friends and I started a little annual tradition during Valentine's Day weekend, SAD Dinner. For you coupled up lovers out there, SAD stands for Single's Awareness Day. 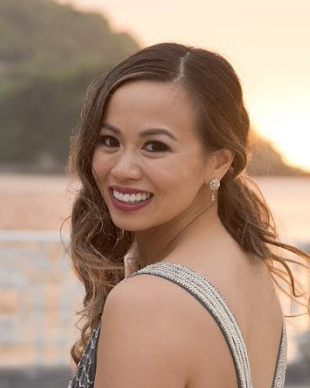 Well, at its inception, we didn't know it was going to be an annual thing but as the years continued, SAD Dinner actually started to become more of a joyous occasion than SAD, coupled up or not. 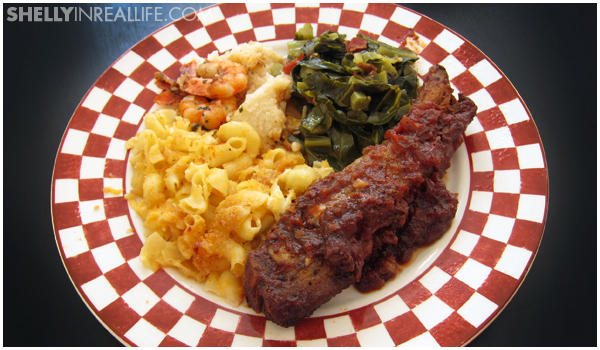 This year, we decided to go for a nice southern home-cooked meal: BBQ Ribs (with homemade BBQ Sauce), Mac and Cheese, Collard Greens, Shrimp and Grits, Cornbread, Raspberry Swirl Cheesecake, and Mint Julep...basically, the works, cooked by yours truly. So the next few posts will feature recipes from this dinner. 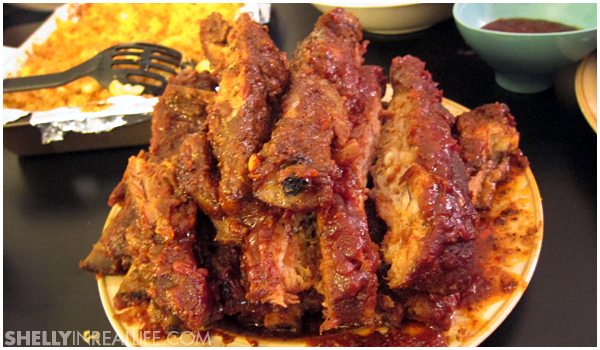 For a bit of cost savings, pork spareribs was definitely our answer to the protein of the meal. 1. Season the Ribs! 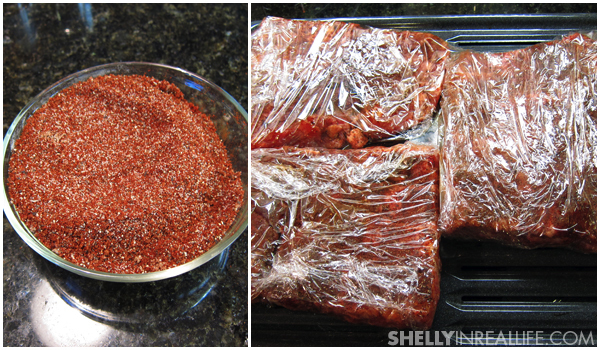 Rub the rubs with the dry rub, cover loosely with plastic wrap and let stand at room temperature for at least 1 hour. Letting the meat stand at room temp will make sure everything cooks through evenly. 2. Hours Spent Roasting in the Oven. Adjust oven rack to middle position and heat the oven to 300 degrees. Lay the ribs, meaty side up, on a wire rack set over a rimmed baking sheet. Wrap the pan with foil. Hour 1: Roast Ribs for an hour. Hour 2: Remove the foil and continue to roast for 1 more hour. 3. Brush with BBQ Sauce. Brush the meaty side of the ribs with BBQ Sauce, about 3/4 cup per slab. Hour 3: Continue to roast, uncovered, until the bones have separated from the meat, about 1 1/2 hours longer. 4. Let the Ribs Rest in Foil. 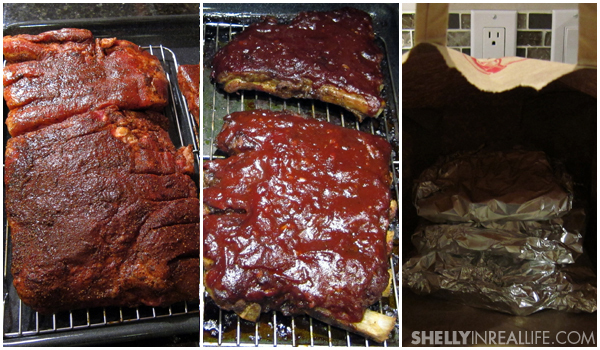 Hour 4.5: Remove the ribs from the oven and wrap each slab with foil. Put the foil-wrapped ribs in a paper bag and seal tightly. Allow the ribs to rest at room temperature for 1 hour. Hour 5.5: Serve with more BBQ Sauce. The cut of meat is extremely important in this recipe, pork spareribs has a little bit more fat compared to other ribs and therefore won't dry out during this method of cooking. Honestly it will be a waste of baby back ribs if cooked this way. I prepared the ribs the night before I had to serve it because this entire process will take you about 6 hours. Unless you're planning to be in and out of the kitchen the entire day before serving, make it ahead of time. As a bonus, this tastes even better the next day as more flavor sinks into the ribs.